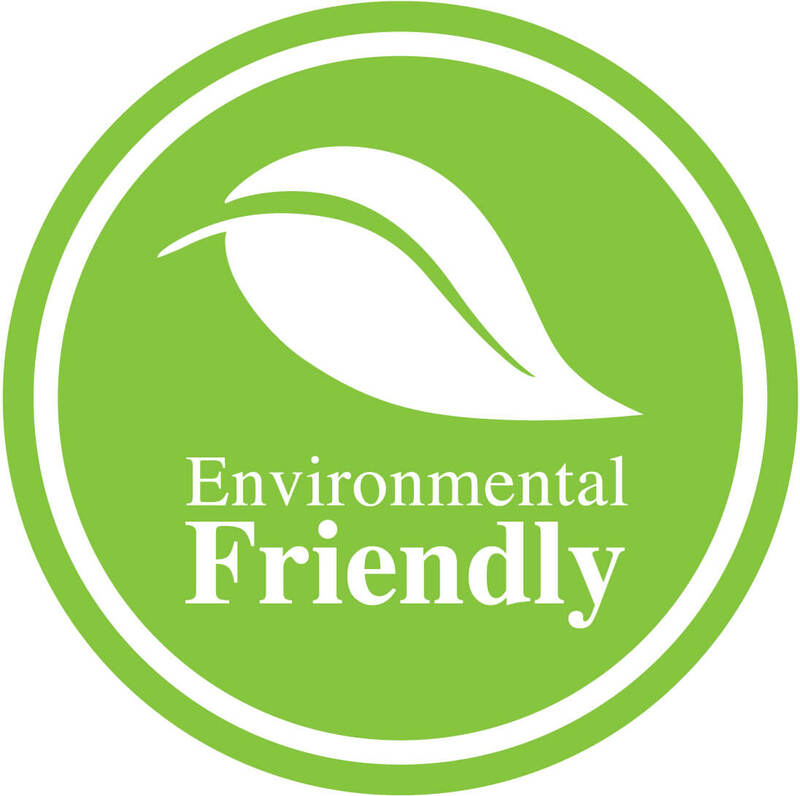 Browse our website for the best quality decorative swimming pool tiles including Mediterranean pool tile, Spanish Talavera tile, Portuguese Tile, turkish Iznik tile and much more. 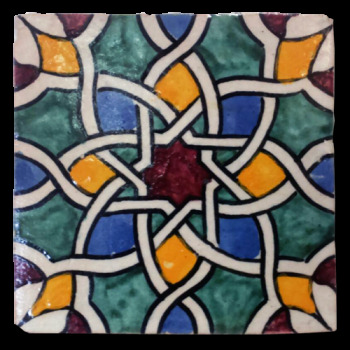 Our Mediterranean tiles are hand painted ceramic tiles that include classic Italian, Mexican, Spanish, French, Dutch and Portuguese tile patterns. Mediterranean tiles are very durable to use on floors and walls including Bathroom floors, shower walls, kitchen backsplash, and swimming pools. Iznik Tiles takes its aesthetic cue from traditional patterns found in Turkey and Iran. 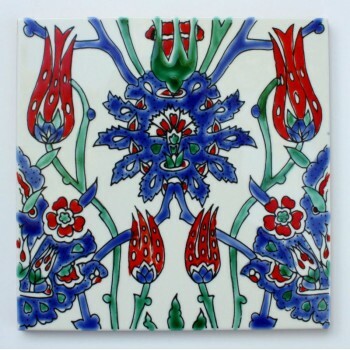 Floral designs are handpainted over 8" x 8" ceramic tiles by master artist using same old techniques used by the Turks & Persians. 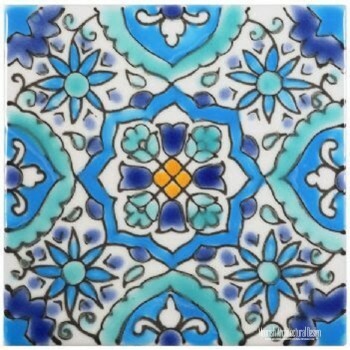 Iznik tiles are suitable for kitchen floors, backsplash, bathroom, shower walls, swimming pools, and much more. Hand-painted Moroccan tiles are handcrafted clay tiles by skilled artisans using original Moorish tile patterns. Available in a variety of designs and a myriad of colors to complement any interior. Understated sophistication in a timeless pattern, these hand painted tiles will add a unique, exotic touch to any room. Composed of the highest quality Moroccan clay, this ornate tile patterns from our ever-popular Hand painted tile Collection is guaranteed to enhance your ambiance and provide a stylish charm to your home for many years to come.